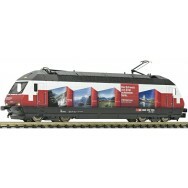 Electric locomotive Re 460 048-2 of the Swiss Federal Railways SBB with promotion labelling "RailAway". Epoch VI. Model in true to the original livery and lettering. In-plane applied windows. Metal die-cast chassis. Motor with flywheel. Drive on 4 axles. Two traction tyres. Interface according to NEM 651 standards for digital decoder adaptation. Close coupling according to NEM 355 standards. Red and white LED light changeover that can be switched with the direction of travel. 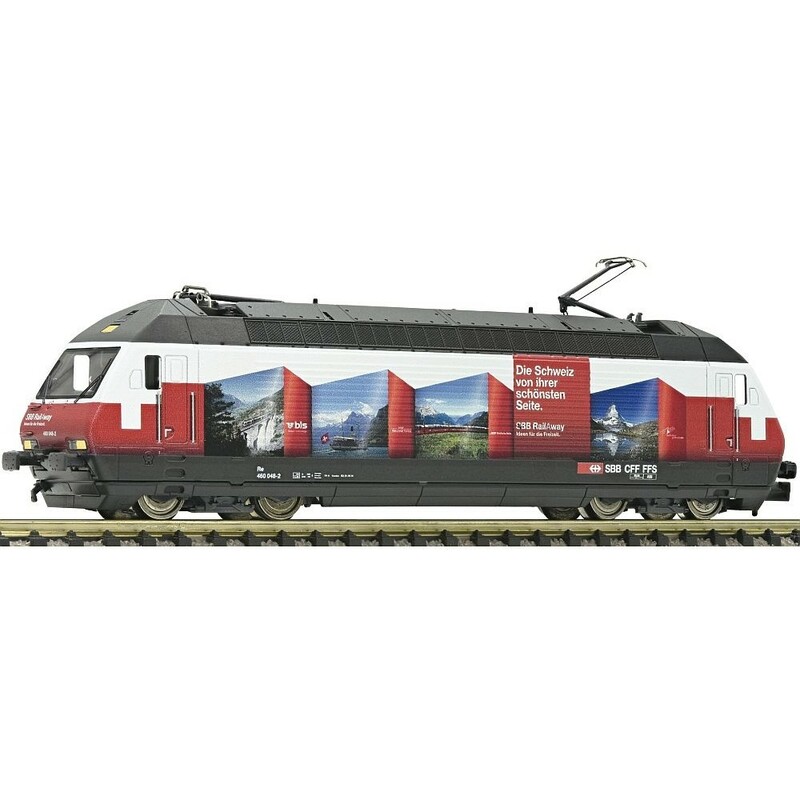 A closed locomotive front skirt is included in the package. The RailAway is a daughter company of the Swiss Federal Railways and plans, organizes and distributes mainly low-cost leisure offers for railway tourism.